Due to a crash of my hard drive, followed by a very busy business trip I am coming in late with my post about roses that have bloomed in my garden in November. Still I wanted to show them to you! Altogether my roses definitely have been winding down last month and that is to be expected. Still my aim is to have a few roses blooming year round and since I am living in Southern California that should be possible. What I did notice is that my established roses (I am talking about the bushes that are in the ground for three years or more now) are able to flower better and longer into the winter season. The other thing that occurred to me is that the Miniature and Miniflora roses that I grow in containers seemed to have been even more willing to bloom in November than my established roses in the ground. Maybe that is just a trait of the Minis and Minifloras? I have to observe these roses for a longer time to draw any conclusions, I know, but so far I am very impressed and happy with my Miniature and Miniflora roses. I am so glad that I "started to play with them" last year. Since most "regular" roses are reaching outrageous sizes here I am also pleased that they stay in bounds and can be kept in a container long term, which you can rarely say about for example a Floribunda or Hybrid Tea rose in my climate. "The Prince" gave me the most beautiful bloom in November out of all the rose flowers that I got, I think. To my delight my camera captured the fascinating, unique, dark, crimson color of this rose quite well on this photo and at least on my monitor it looks very close to reality. I really adore this rose! 'Jilly Jewel' is one of my newer Miniature roses that do so well in containers. I have high hopes for this rose for the next year. 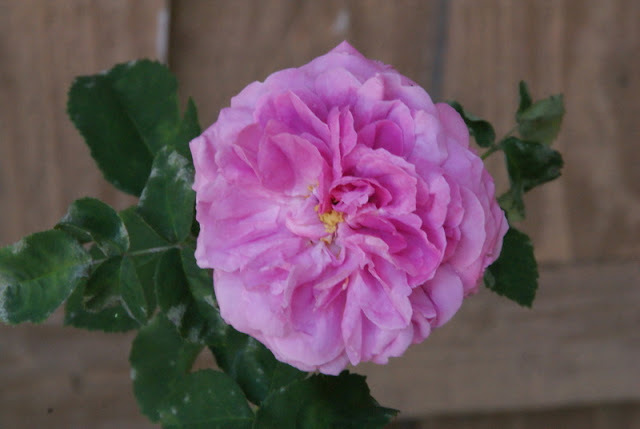 'Pierre de Ronsard' also gave me some lovely flowers. Its pink inner petal color is much darker than in the summer, which I prefer. It is also a clear pink and not an apricot or coral color, which is more to my liking, too. 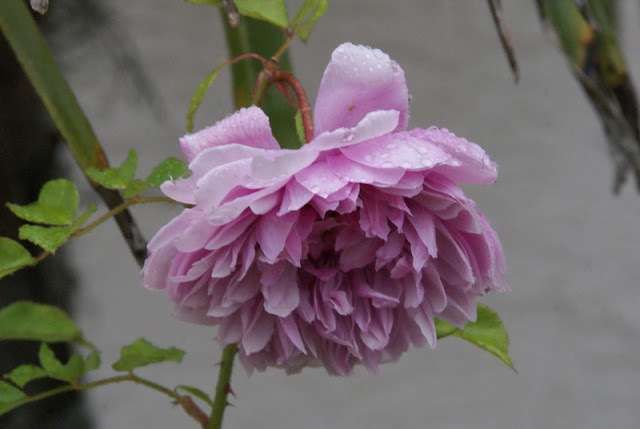 The charming romantic blooms of 'Sister Elizabeth' continue to please me. This is 'Irresistible', another Miniature rose. Its color is more a yellow/cream right now (usually it is much lighter) and some petals show splotches of red color (see the petal at the bottom and center of the flower), which I actually find not very appealing, but still any bloom is a joyful sight to me at this time of the year. 'William Shakespeare 2000' presenting one more of his impeccable flowers. This rose is called 'Moonlight Scentsation' and is one of my favorite Minifloras right now. It smells truly strong and I love the color. Depending on the light and the age of the flower the color can be an almost ghostly grayish/white. Very interesting and unusual for sure! 'Sweetness' was also still producing a number of blooms and they were all very pretty. 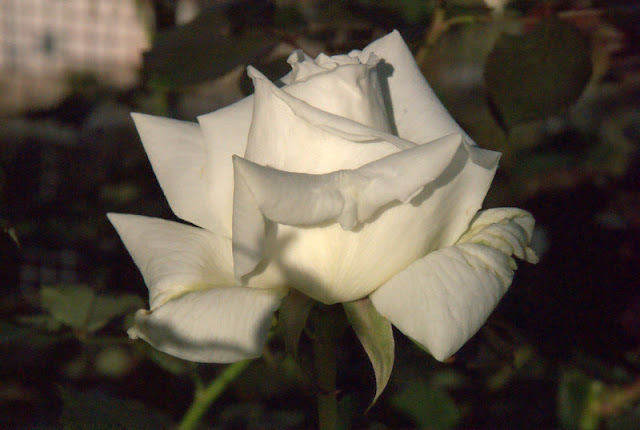 The foliage of this rose has been completely clean, which is pretty unusual for a Hybrid Tea. 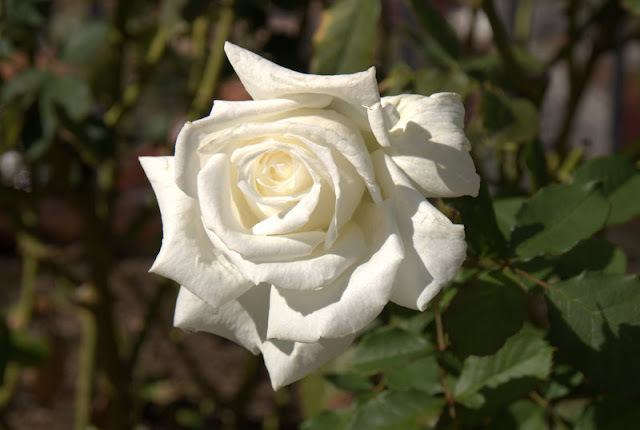 I highly recommend this rose for its lovely flowers, but also for its disease resistance. The true star of the month of November was 'Pope John Paul II'. This Hybrid Tea rose gave me an incredible flush so late in the year. The flowers were very big and as perfect as they can be for a white rose that is organically grown and not sprayed. As 'Sweetness' the Pope is completely clean here, which is an extra bonus. 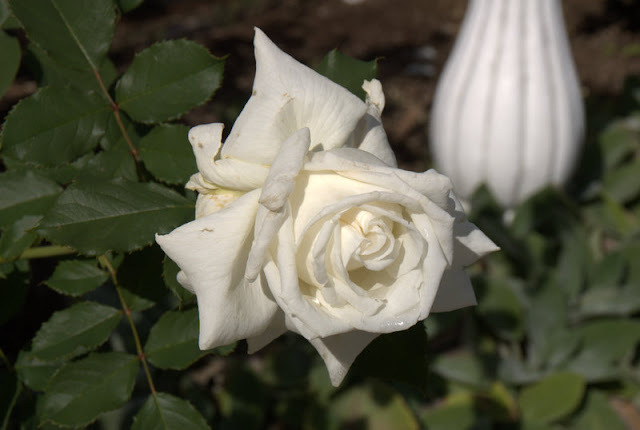 This is also one rose that I would highly recommend if you would like to have a great white Hybrid Tea rose. I will finish this post with photos of a couple of more blooms that I got from the Pope. Aren't they drop dead gorgeous? I could definitively have more than one bush of 'Pope John Paul II' in my yard! This last picture shows quite well how perfect the form of this rose is. Are any roses still blooming in your yard? It must be lovely that so many flowers from the roses are still there. You are a lucky woman!. I want to ask you about the orchid. Is it true what I am told that you can't water it lake you usely do with other plants on the top of the soil? Your tips are very welcome. Wishing a nice weekend ! Oh my, more lovely blooms from your garden. The ones that nab my heart this time are ~ The Prince, Sister Elizabeth and Sweetness. All of your roses are beautiful, those just did something to me when I saw their pictures. Thank you Christina ~ Have a wonderful Christmas season. Marijke, I know, I am lucky to live in Southern California where we have such a long rose growing season and I am thankful for that. Regarding your orchid question. I water my Cymbidium orchids just like any regular plant pouring water on top of the soil and they do just fine. Dani, thank you so much for your rose compliment :-)! 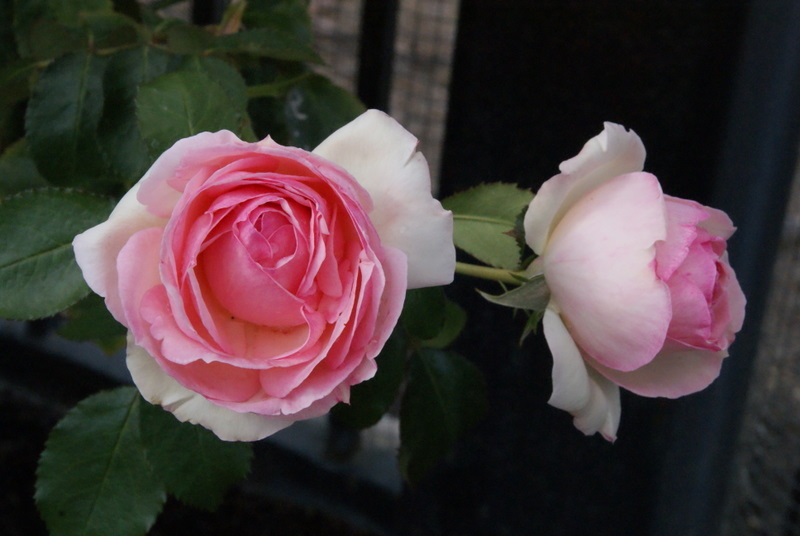 'Sister Elizabeth' is a very lovely rose, I am happy that you like her. FlowerLady, thanks for your nice comment! I know exactly what you mean by saying some roses just nab your heart. I am glad that I featured a couple of roses that did that to you. I believe those are the roses that we should grow :-)! Wishing you a lovely Christmas season, too! 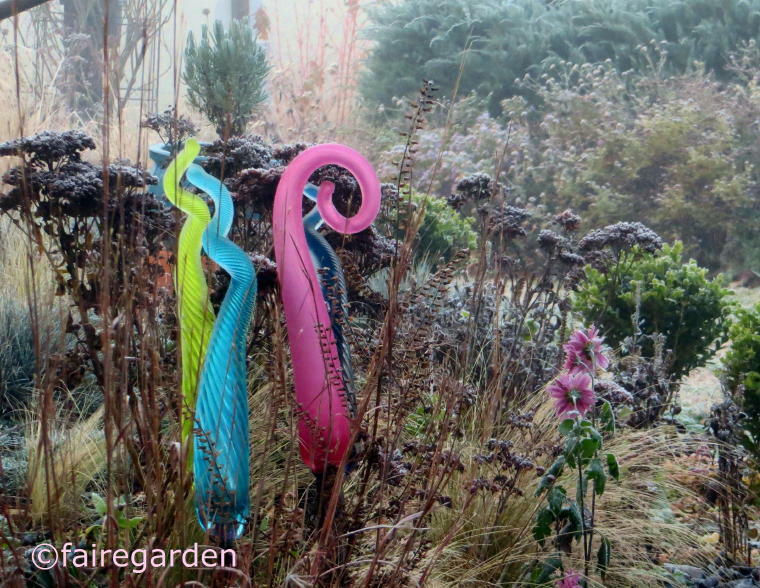 You had a beautiful November in your garden, Christina. 'The Prince' is my favorite (love his color!! ), but they're all winners. Thanks for making sure we didn't miss out on all this beauty. I added your blog to my side bar! :o) I also grow William S but it spent all summer recovering from being transplanted and I pruned most of its buds to keep it from stressing. I'm looking forward to the robust flowers it used to provide before being moved to a sunnier spot. Your roses are so beautiful! I'm adding Abraham Darby next summer and wish I had room for a big yellow climber. Worm compost is incredible stuff! I have two worm bins that give me about 4 big harvests a year. I might add a 3rd next summer. I really love the Sister Elizabeth and Prince roses. Maybe Abraham will come with friends! Your roses are very pretty. I really can't say which one I like best - they are all beautiful. My miniature roses bloom very well, too. I hope your roses will bloom year round for you. What a wonderful thing that would be! Sherry, nice to see you commenting on my blog, again! 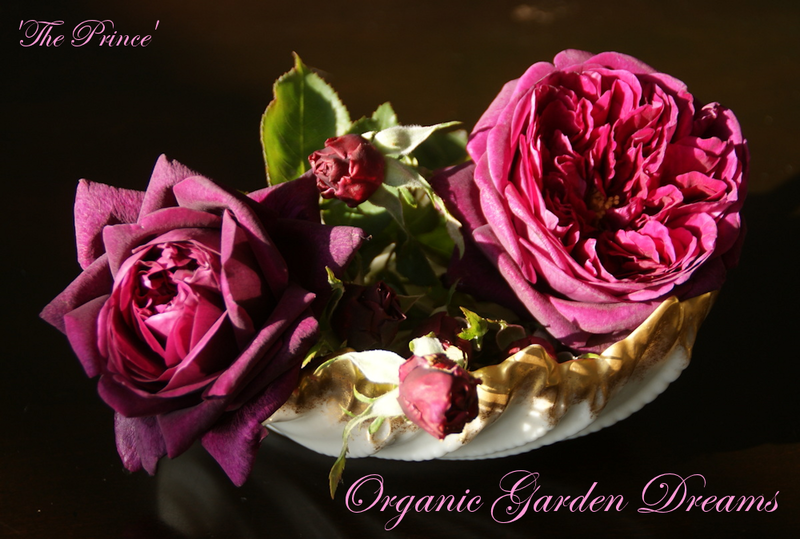 I feel 'The Prince' is an outstanding, lovely rose with a very unusual color, so I am glad that you like him, too :-). Casa Mariposa, thank you very much for adding my blog to your blog list! I hope, 'William Shakespeare 2000 will recover quickly for you, but since I have the impression it is a robust rose, it most likely will. Thanks for your compliment regarding my roses. I was growing Abraham Darby in my old garden, but sadly it was a rust bucket so I didn't plant him in my new yard. Wishing you that it will do better in your climate. It would be nice if you would get 'Sister Elizabeth' and 'The Prince' together with 'Abraham Darby', all are very lovely roses and I think they even could be planted together as the colors would match. Holley, thanks for your nice comment, I am so happy that you like my roses! Good to hear that your Miniature roses also bloom very well for you. Yes, it would be a wonderful thing if I could have roses year round. With the older roses becoming established in the garden and having purchased more new ones than I should lately the chances are good :-)! Giga, thank you for your comment! I know it is great to have roses in November. I am glad we share the same rose taste ;-). Your favorites are also mine :-)! How lucky to have so many roses in bloom! I love 'Sister Elizabeth', I thought about getting that one last year, maybe this coming year. I have a pink rose (it may be 'Heritage') that still has a couple of blooms, although they've had frost on them for the last week, 'Lady Emma Hamilton' has some buds and so does 'Abraham Darby' which is extra exciting since I moved him in September. Hi Catherine, it has been a while since you commented on my blog, so I am happy to see you visiting again! 'Sister Elizabeth' is such a beauty, I just can encourage you to give her a try. Great that you also still have roses blooming despite the frost that you are having. I love 'Lady Emma Hamilton' and 'Abraham Darby'. It is amazing to me, that 'Abraham Darby' is blooming for you even though you just moved him. He seems to really like you :-)! Such wonderful blooms! 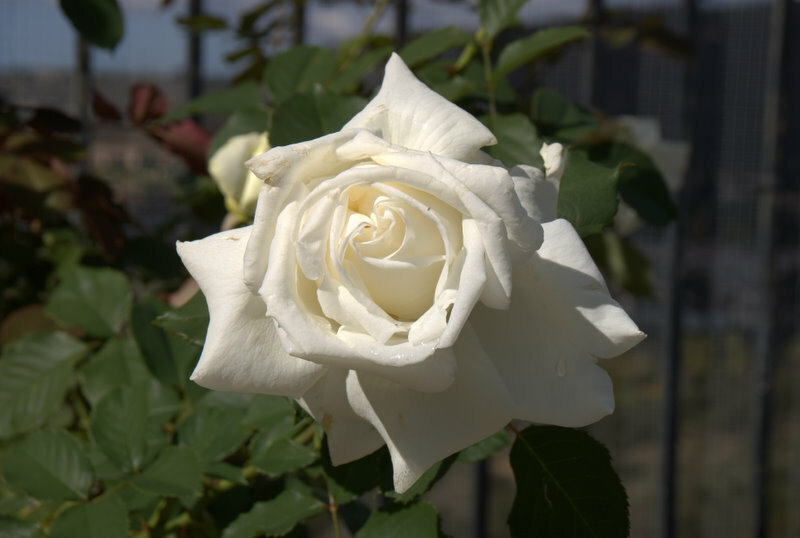 Pope John Paul II is such a beautiful rose. Your capture of William Shakesphere is awesome. Redneckrosarian, thanks for your nice comment! I am pleased that you like Pope John Paul II, too. In my opinion it is one of the most beautiful white roses that I have ever seen and I am so happy that it is completely healthy in my garden. We need more roses like that! Masha, thanks for your kind words about my roses, even though I have a hard time to believe that they look better than yours ;-) ! I am really sorry to read that you are thinking about taking 'Pope John Paul II' out. It is such an exquisite rose in my garden. Even though it is a pain in the neck to dig those 3x - 2x holes for each rose, exchange our native dirt with good rose soil, but by now I believe it pays off later and the roses are thriving. I love the color of 'Sweetness'! I return to your posts with rose pictures from time to time. I decided not to plant more roses since a deer eats them. Hi Tatyana, thanks for you comment! It makes me happy and admittedly a little proud to read that you are even returning to look at my rose posts :-)! I completely can understand that you don't want to plant more roses, when the deer munch on them. We have no deers in our suburban neighborhood here, only rabbits. 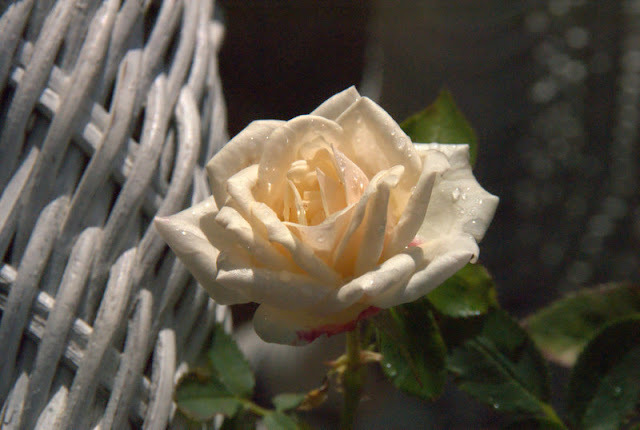 They do eat the basal shoots of the roses from time to time, but oh well, the roses survive this and flower anyway. Oh man, the piece of the "destroyed forest"-story that you just added can make one really mad. Some people are just so profit driven, I just don't get it. But what can one do? 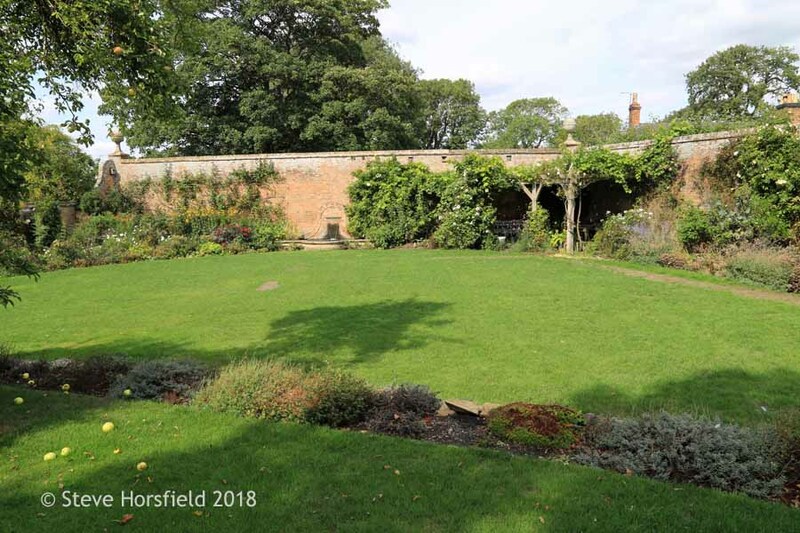 At least we can try to garden environmentally responsible in our own yards and protect the trees that are there already and plant new ones, in case have the space.